They’re written by ghostwriters who’ve never touched a piece of lumber or a chisel in their LIFE! They could NEVER tell if a step didn’t make sense or not. And let’s not even get into trying to “Wing it”. You and I are well aware how that’ll end up. Well, hang tight. I’ve gotcha covered. 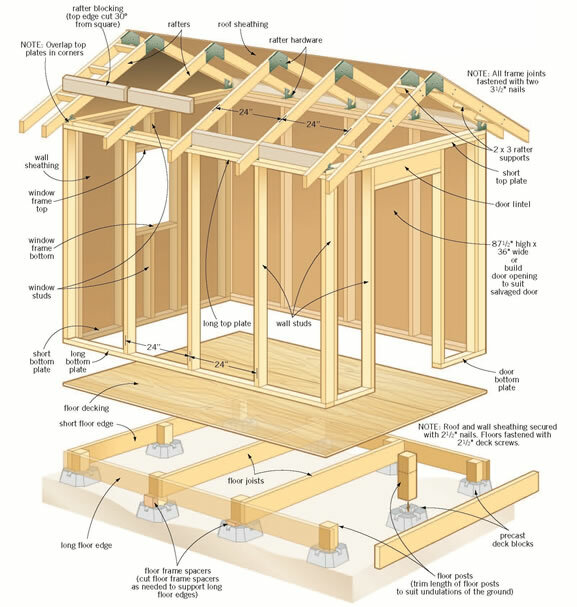 You end up building a part of your shed that LOOKS like the drawing… but it ISN’T. But you missed it because the plan didn’t show you each angle! And the only way you find out, is at the end when you’ve wasted all that time, money and sweat… and nothing fits together. So detailed that you know exactly what you’re doing every step of the way. No complicated instructions that will have you scratching your head or confusing technical jargon. Many other plans assume you’re experienced enough to tell what the next step is. No. Wait. Not Lego… more like DUPLO blocks! It allows you to buy exact amounts. And also what you don’t need to buy right now. It saves time and cuts down waste. It saves money. Because you only buy EXACTLY what you need… and WHEN you need it. Don’t give you EXACT measurements to cut your lumber.